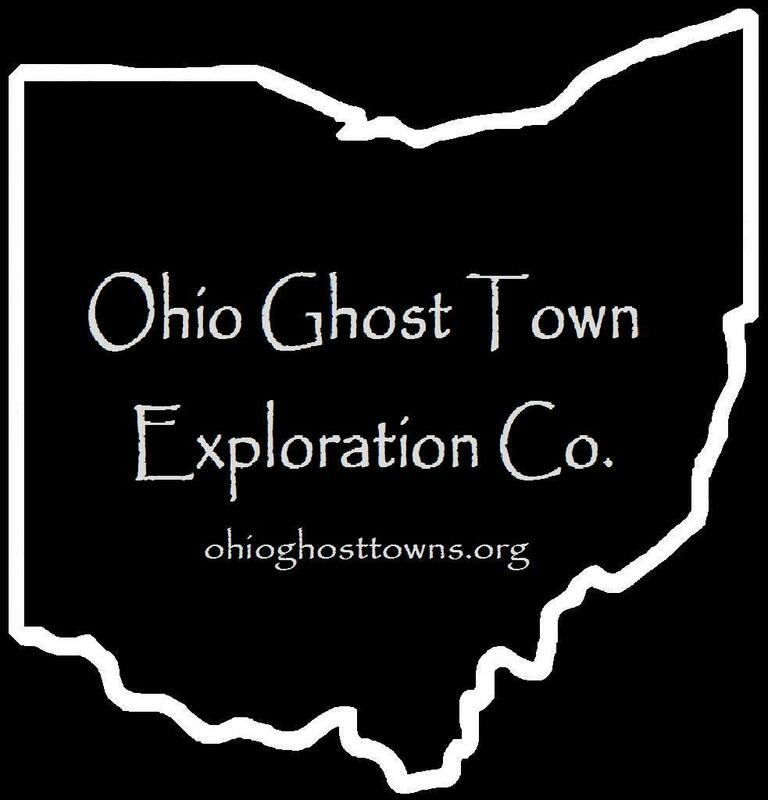 Pickaway County – Ohio Ghost Town Exploration Co. Description: The town was founded by the Bell family in the area & was along the Norfolk & Western Railway. Farming & livestock raising were its main industries. There was a school in the southwest corner of the intersection US 23 & Hagerty Rd (Township Hwy 38). A steam-powered saw mill on the south side of Island Rd west of US 23 was owned by pioneers George Kellenberger from Virginia (1790 – 1861) & Jemima (Rice) Kellenberger (1790 – 1865) from Maryland. They moved to Ohio in the mid-1810s, had 5 children, & also built the first grist mill in the county along the Scioto River on their 268 acre farm. Most of the Bell family was buried in Forest Cemetery 3 miles south of the GPS coordinates on the west side of N Court St in Circleville. Description: This Shawnee Native American village was named after Shawnee Chief Hokolesqua (Cornstalk) (1720 – 1777). It was abandoned shortly after the signing of the Treaty Of Camp Charlotte in 1774 as a result of Lord Dunmore’s War, a conflict between the Colony Of Virginia & the Shawnee & Mingo tribes. Description: It was listed in the Ohio Gazetteer And Traveler’s Guides from 1837 – 1841. Description: The proprietors were William Cromley (1813 – 1888) from Leigh County, Pennsylvania & Sarah (Staige) Cromley (1815 – 1878). They had 2 children & were successful farmers, eventually accumulating 800 acres of land. William was also a township trustee for several terms. The town was along the Ohio & Erie Canal & had a school on the west side of Cromley Rd near the GPS coordinates. Catherine Cromley – Conner & her husband Thomas currently run the ancestral family farm on the east side of the GPS coordinates. They are of the 5th generation to carry on the tradition. The house on the property dates back to around 1840. William & Sarah Cromley were buried with relatives in Forest Cemetery 7 miles south of the GPS coordinates on the west side of N Court St in Circleville. Description: Dorney was along the Norfolk & Western Railroad & the Scioto Valley Traction interurban line which ran passenger cars from 1904 – 1930. Though they were sometimes used for leisure travel, traction lines were mostly used for quick & relatively inexpensive commutes to work in the days before automobile ownership was an affordable necessity for the majority of Ohio’s residents. Description: Fairview also appears to be tied to the Scioto Valley Traction interurban line as part of a string of ghost towns, including Voorheis & Sheldon, all on N Court St heading south to Circleville. Description: Gray was along the Norfolk & Western Railroad & the Scioto Valley Traction interurban line. Description: As with Dorney & Gray, Griffith was also along the Norfolk & Western Railroad & the Scioto Valley Traction interurban line. Description: It was another stop along the Norfolk & Western Railroad & the Scioto Valley Traction interurban line. Hagerty was also along the Ohio & Erie Canal, but the canal days were numbered at the time as it was becoming obsolete. Description: Hooven was yet another town along the Norfolk & Western Railroad & the Scioto Valley Traction interurban line. Shortly before the arrival of the railroad, Lemuel Steely (1811 – 1888) & Guynnea (Holderman) Steely (1814 – 1887) along with Lemuel’s brother Benjamin Steely (1815 – 1899) & Eliza (Driesbach) Steely (1813 – 1891) amassed approximately 2,500 acres of land in the area & donated a bunch for the railroad bed. Benjamin was buried with relatives in Ebenezer Cemetery & Lemuel was buried with relatives in Forest Cemetery on the west side of N Court St in Circleville. There was also an Evangelical Union church at Ebenezer Cemetery & a school just to its east, both on land owned by Eliza Steely’s parents, Reverend John Driesbach (1789 – 1871) & Fanny (Eyer) Driesbach (1791 – 1876). They were married in 1817, moved to Ohio from Pennyslvania, & had several children. Description: Joel Bacon from Massachusetts was the first postmaster. John McCutchen later took on the position. Description: Miller was along the Norfolk & Western Railroad & the Scioto Valley Traction interurban line & was named after a branch of the Miller family in the county. The Hitler & Ludwig families were related by marriage & owned much of the land in the area. Most of the family members were buried in the cemetery which was established on land owned by Jacob Ludwig (1806 – 1881) who moved to Ohio from Berks County, Pennsylvania. Description: It was on the Ohio & Erie Canal & was platted in the mid-1830s. The town had around a half dozen residences, but failed to attract enough of a population to make any improvements & keep it going. Description: The beginning of the town as it eventually came to be known started with the formation of the Hedges’ Chapel congregation in 1841. The original church was constructed in 1843 in the northwest lot of the intersection of Winchester Rd & SR 752 on land donated by Cyrus Hedges (1799 – 1866). The town’s first proprietor was Andrew Hedges. He opened a general store & post office called Hedges’ Store that still stands at the GPS coordinates in 1853. Andrew sold the store in 1856, & after changing ownership a couple of times, brothers David Weaver (1828 – 1907) & William Weaver (1838 – 1932) purchased it in 1859. David was appointed to the postmaster position the previous year & changed the office name to Nebraska in 1862. He bought William’s share of the store in 1864. The town also had a saw mill on Little Walnut Creek, 2 small brickyards, a shoe shop, school, doctor, & Nebraska Grange No. 64 was organized in 1873. The second floor of the store & post office was converted into the grange hall in 1874. A new church was constructed at the present location in 1887. David Weaver held the postmaster position for 44 years until it was discontinued in 1902, making him one of the longest serving postmasters in the entire country at the time. Most of Nebraska’s residents, including many members of the Hedges & Weaver families, were buried in Reber Hill Cemetery. Description: It was along the Norfolk & Western Railroad & the Scioto Valley Traction interurban line & was named after a branch of the Rhoads family in the county. Description: The original proprietors were William Foresman (1770 – 1846) & Mary (Crull) Foresman (1791 – 1847). They married after William’s first wife passed away & moved to Ohio from Pennsylvania. William built a grist mill in 1812 with a race flowing from Big Darby Creek to the Scioto River which can still be seen on satellite maps. When the Ohio & Erie Canal arrived in town, it didn’t do much to increase the population in the immediate vicinity, but it did produce an increase in the grist mill’s sales. The mill eventually became inadequate to serve the growing needs of the patrons, so William & one of his sons Robert Foresman (1816 – 1869) built a larger mill in 1839 inside the corner of the intersection of Mill Rd & Canal Rd. They also added a saw mill to the farm on the east side of the mill race between US 22 & Mill Rd. After William passed away, Robert sold the mill in 1869 to one of his nephews who added a grain elevator to the site. When ownership of the land left the family in 1900, the town name changed to Pickaway Mills. The grist mill was destroyed by fire in 1905 & the town didn’t last much longer after that. Everyone mentioned in this listing was buried in Forest Cemetery on N Court St in Circleville. Description: This Shawnee Native American village was named after the sister of Shawnee Chief Hokolesqua (Cornstalk) (1720 – 1777). It was abandoned shortly after the signing of the Treaty Of Camp Charlotte in 1774 as a result of Lord Dunmore’s War, a conflict between the Colony Of Virginia & the Shawnee & Mingo tribes. Description: This farming & postal town didn’t have a village. Residences & amenities such as schools, a church, blacksmith shop, & a shoe shop were spread around several local sections of the township. William Teegardin (1785 – 1871) from Westmoreland County, Pennsylvania was the postmaster. Many members of his large family lived in the area & some were buried in Conklin Cemetery. William was buried with relatives in Lithopolis Cemetery 4 & 1/2 miles northeast of the GPS coordinates on the west side of Cedar Hill Rd NW in Bloom Township, Fairfield County. In 1807 Revolutionary War veteran Andrew Leist (1755 – 1821) & Elisabeth (Landman) Leist (1757 – 1824) settled in the area known as Zane’s Trace near the site of Camp Charlotte. They had 13 children & their son Jacob (1788 – 1870) became the first minister in Saltcreek Township. Jacob also practiced medicine in Leistville & some of his instruments are currently in the Ohio State Museum in Columbus. Leistville had a post office from 1846 – 1902. There isn’t much left from the old town, which has newer residences in the area, except for roads named after early settlers. A bronze marker dedicated in 1928 to Camp Charlotte is on SR 56 about a 1/2 mile north of SR 159. Andrew & Elisabeth Leist were buried in Zion Cemetery on County Hwy 40 (Winstead Rd) 9 miles north of Leistville with lots of relatives & other early families from the area. Henry Wissler (1760 – 1832) & Anna Wissler (1770 – 1811) settled in the town formerly known as Prairie View in 1806. They had 11 children, each of whom were willed 150 acres of land. One of them donated land for a school that was called the Whistler School. The family name later changed to Whisler & the town started going by that too. It had a church from around 1840 – 1880 & a post office from 1883 – 1933. Since then, the mail has gone through Hallsville which is a few miles south. Henry & Anna Wissler are buried at Prairie View Cemetery on the north side of Kingston Whisler Rd. Most of their children ended up moving to other states.